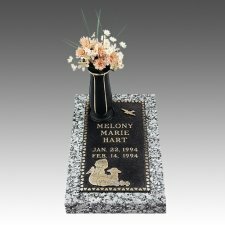 Losing a child is one of the most tragic events that causes unimaginable grief. 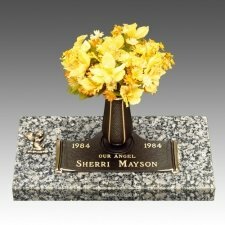 Such a life-shattering loss can leave the surviving family members in a whirlwind of emotions. 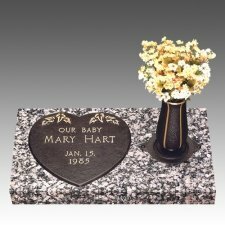 This is certainly understandable as losing a child goes against what we feel is the natural order of life. There is no harder situation in life that one must endure, and the mourning process thereafter is indeed, a difficult ordeal as well. 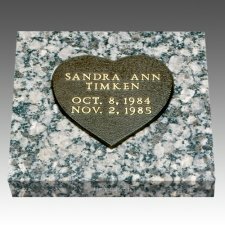 It may seem that nothing can fill the void left by such a loss, and the sad truth is that nothing can, as each child is a precious, and unique, individual. 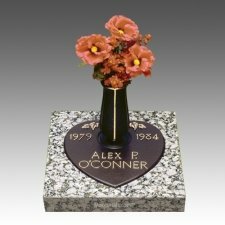 However, there are many resources for those who have had to endure this terrible experience, such as support groups, websites with information on how to deal with the grief, as well as several religious institutions that can provide guidance. 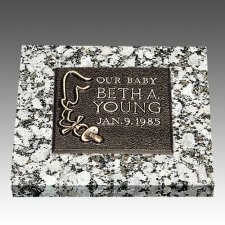 What can also help during the mourning period, as well as well after, is having a permanent place where the family can pay tribute to the lost child. 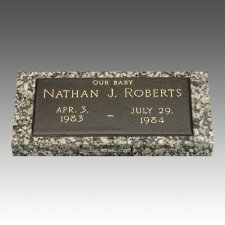 Many find that a beautiful grave marker, for those who are participating in traditional burial, can create place where they can go to reminisce and meditate. 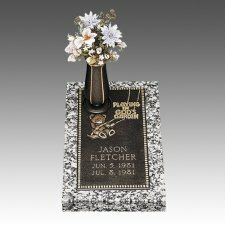 These lawn-level children grave markers feature a two part construction, which is a durable bronze plaque that is attached to a sturdy granite base. 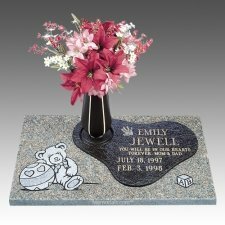 There are a wide variety of border designs to select from, and all feature a peaceful theme that will serve as a gentle reminder of the happier times shared with the child. 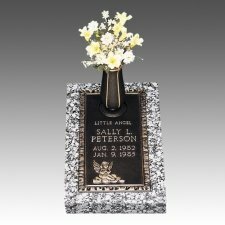 These border design options vary greatly, from a simple border that features a pacifier, to a border that is adorned with heart shapes, and features a little angle and lamb. 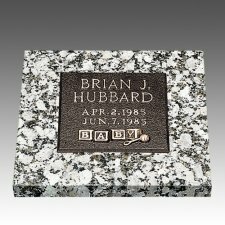 The basic information, such as name and dates, can be placed on the marker, as well as characters for additional lettering, so the family can place a beautiful message on the stone. 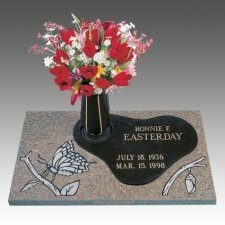 There are also a wide selection of emblems, which are small clip-art type images, that can be added to the marker design, for further personalization. 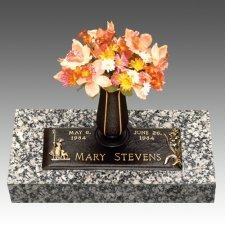 Both the bronze and the granite base offer color options to select from. 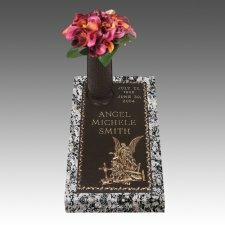 As with any marker order, we verify that the memorial will abide by the cemetery's regulations to ensure the easiest ordering experience possible. 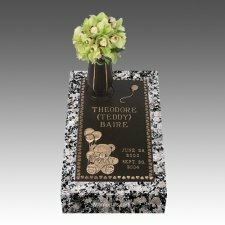 These markers truly create unforgettable memorial tributes that will not only commemorate the life of a child, but also soothe any troubled heart and mind. 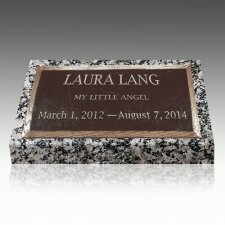 There are no words that can describe the grief suffered, or justify the loss of a child. As said before, this is certainly one of the most tragic events that anyone could endure, let alone imagine. Acceptance is difficult, but it can greatly help not just the individual, but the entire surviving family take a closer step to regaining control over their lives. 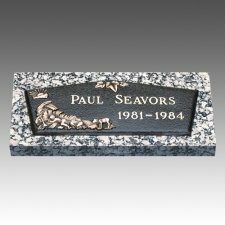 'Easier said than done' has never rang more true, but we must be grateful for the family that is left, as well as the time that was shared with the child, and realize that while life will never be the same, it does not have to revolve around the loss forever.